Many real estate agents take on side development projects – either flipping or renovating properties – in addition to their daily tasks of helping clients buy, sell or rent properties. It’s a practice that may not be popular among brokerages that would prefer their agents concentrate on listing and selling the company’s properties. 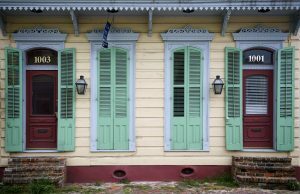 But New Orleans-based Green Coast Realty has turned it into a business model. The agent/developer role at the firm falls under the umbrella of Green Coast Enterprises, the real estate firm’s environmentally-focused parent company that has redeveloped the historic Pythian Building downtown. Currently, six agents/developers at GCE focus part of their practice on commercial and residential real estate development.